On a brutally cold weeknight, I ventured out with my favorite fella on the dark, slick streets of Minneapolis for a hearty meal. French Meadow Cafe delivered! Thoughtfully sourced ingredients, careful consideration given to gluten-free preparation and attentive service made for a memorable meal. If you eat gluten-free, chances are you’ve seen French Meadow bread, brownies or pizza crust in the freezer section of a grocery store. 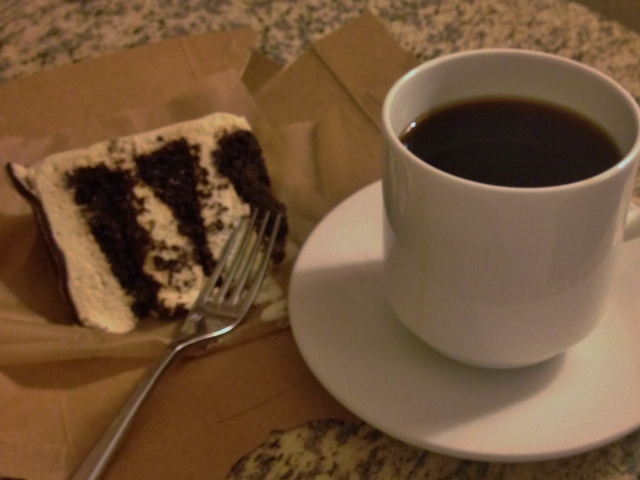 While the baked goods division is now operated by Rich’s, the cafe locations are operated by founder Lynn Gordon. They are open for breakfast, lunch and dinner, with the early part of the day offering food ordered at the bakery counter. I hear their brunch is wildly popular, but dinner was all that fit in my schedule on this trip. Let’s start with drinks. We were given a separate beer list and wine list, both sizable, by the host who seated us. 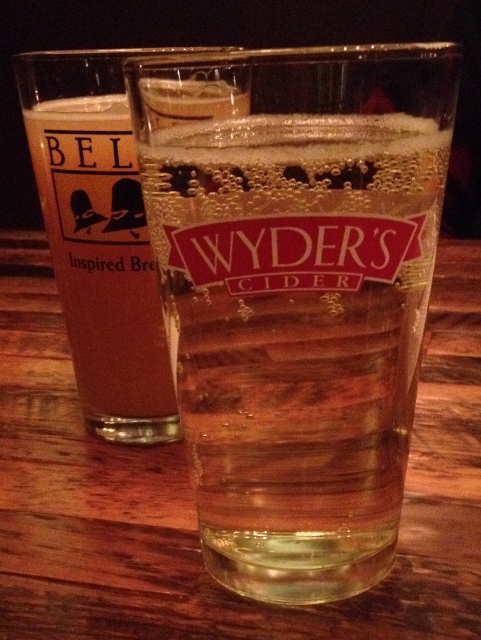 I quickly located the gluten-free hard cider selection and decided on the Wyder’s Blackberry Pear Cider. The fella has some sort of gluten beer. I was conflicted on ordering cider here, after I noticed they offer a champagne flight. It makes no difference to me if it’s a weeknight, there’s always a reason for bubbles. Next time I’m here, I’m definitely getting the champagne flight. We were both super hungry, having only a snack at IKEA in the previous 10 hours. We ordered three starters. 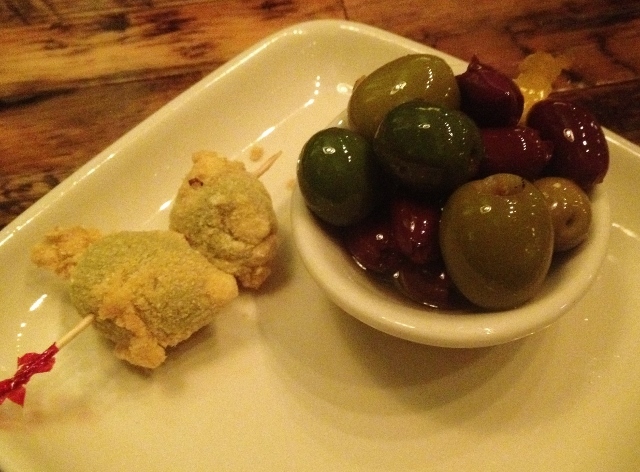 First was an assortment of olives, a favorite of mine anywhere. But French Meadow takes the bowl of olives to a new level. They were delivered warm and with two battered and fried Spanish Queen olives stuffed with bleu cheese. I would have paid the $6 price of this starter for just the two fried olives. A quick note on anything fried at French Meadow Cafe: if the menu item has GF beside it, it is prepared in a dedicated gluten-free fryer. I asked lots of questions of our server and she was very well-versed in how items are cooked and quick to assure me that they do everything in their power to make dining there safe for those with Celiac disease or non-Celiac gluten sensitivity. Next up, we got the lemon pepper cashews. 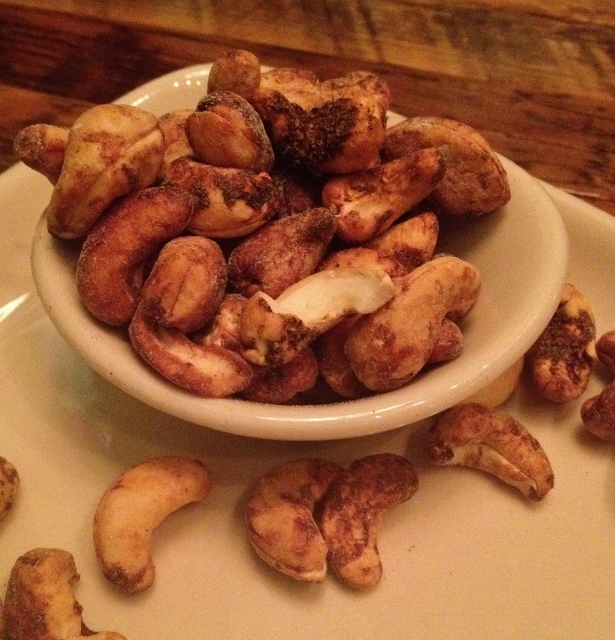 You may have figured out from my Sweet Ginger Sriracha Cashew recipe, I have a thing for flavored nuts. The lemon pepper cashews were a perfect balance of lemon tartness and the bite of pepper. These would be a perfect small nibble with a cocktail! 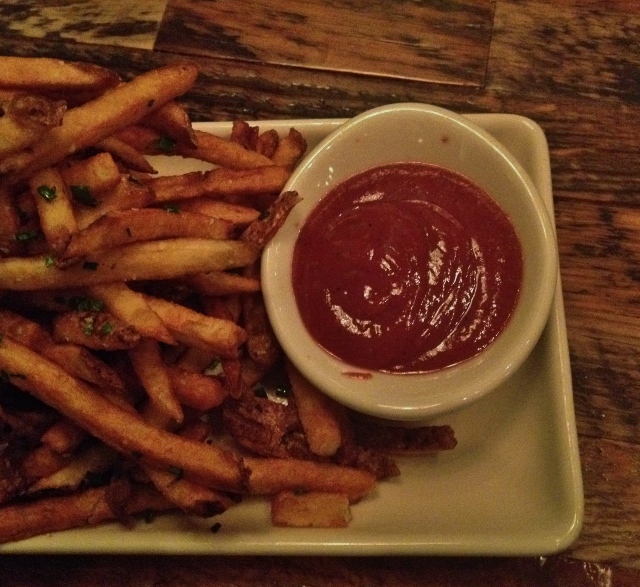 Because I don’t get to eat French fries out often, I ordered their hand-cut organic Pomme Frites with housemade ketchup. I also ordered a side of Hempzel’s Horseradish, Hemp and Honey Mustard to go with the fries. You should, too. Sooooo good. We had a hard time choosing entrees. There were enough gluten-free and vegetarian options here that I could have had a meal here everyday for a week and ordered a different dish each time. So nice to have more than one option. 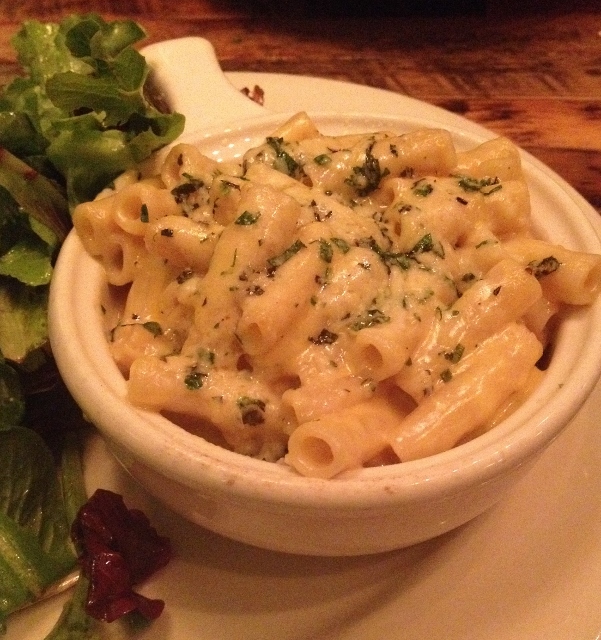 We decided on the 3-Cheese Macaroni and the Green Coconut Curry. 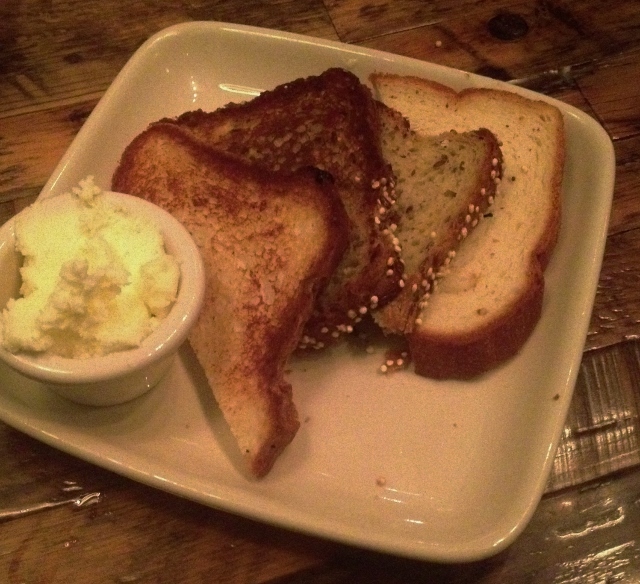 And a gluten-free bread plate, because that is almost never an option. Oh, the macaroni. Rich, creamy, divine. I only indulge in dairy once a week or so and this indulgence was one of the best I’ve ever had. The combination of the cheeses, parmesan, cheddar and gouda, was a nice balance between buttery sweetness and the pungent tang of gouda. I ate this one noodle at a time, in part because it is seriously rich, but also because I didn’t want the bowl to empty quickly. I wanted this dish to last a long time. This is comfort food at its very best. 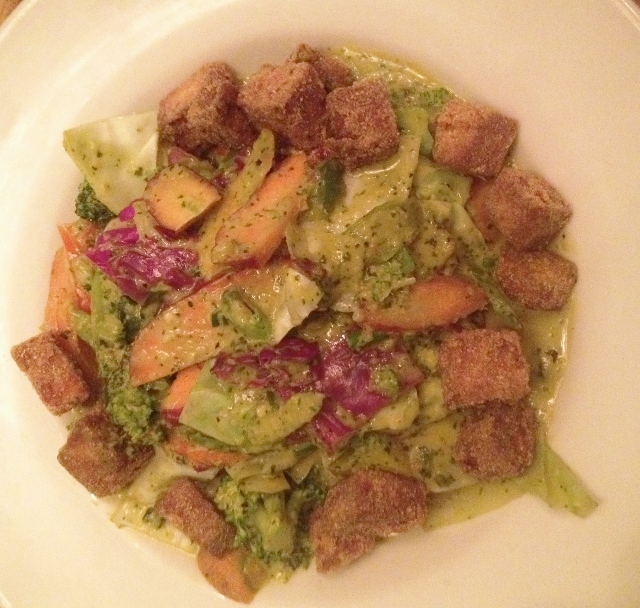 The Green Coconut Curry did not disappoint either. 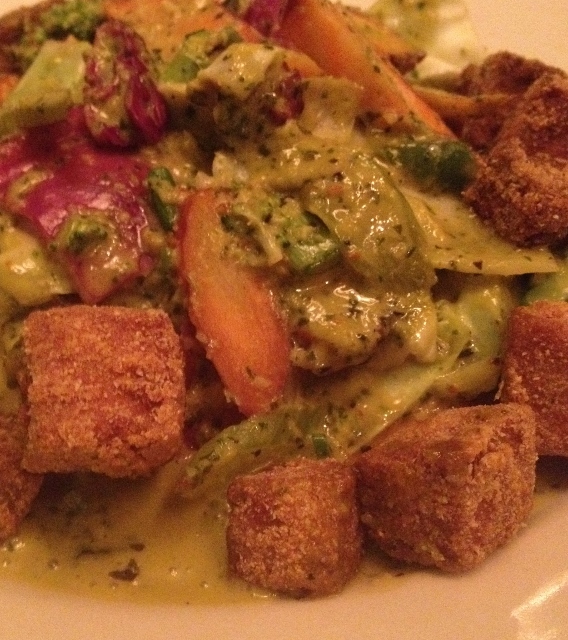 Just the right amount of spice, a wide variety of vegetables and local tofu tossed in cornmeal and fried. The tofu alone is reason enough to order this dish. Crispy on the outside, soft on the inside. One of the very best fried tofu dishes I have had. I could eat this every single day. The bread was a selection of four varieties of French Meadow Bakery bread. I see the brownies and pizza crust at my local grocery store, but have never seen the sliced bread. I sure wish I had the option to buy it locally. Excellent bread and one that would make a mighty fine Reuben sandwich. Even though we were stuffed, when our server offered the dessert menu, we agreed to at least take a look. I expected to see one gluten-free option, something like the typical flourless chocolate torte. Whoa! Not at French Meadow Cafe. There were SEVEN gluten-free cake options and THREE gluten-free rustic tarts. With no room in our bellies for dessert, we decided to get cake to go. A couple hours later, we dove right into to both of the desserts in our hotel room. I had the Chocolate Dipped, a fudgy cake with triple sec chantilly topped with ganache. The fella had the Toasted Coconut, an almond cake with white chocolate custard filling and loads of coconut. 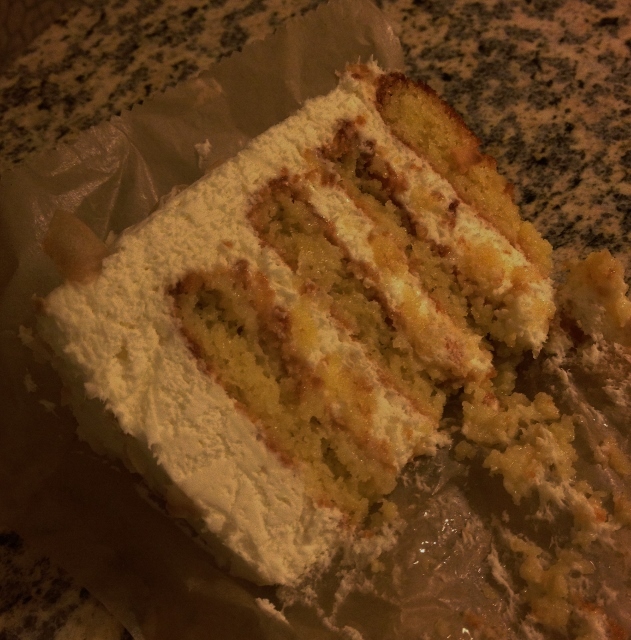 While chocolate is my go-to, I liked the coconut cake so much that I would order it again next time. My only regret is that we didn’t also order a tart to take home. I guess this means we will have to visit again soon. 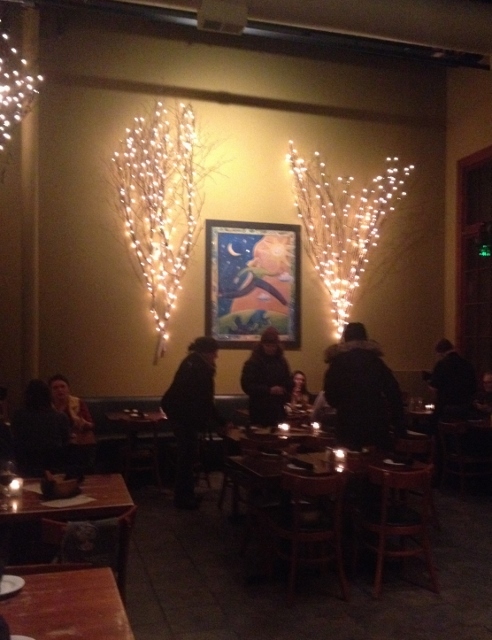 French Meadow Cafe is located at 2610 Lyndale Avenue South, Minneapolis, MN, 55408. 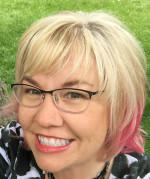 612.870.7855. Parking is located on the street and in a small side lot. At the time of this post, a location in St. Paul was scheduled to open in February 2014. I also heard there is a small French Meadow Cafe in the Minneapolis airport. Would love to hear you experience at either of these locations! Eat With: Minimal Caution. The menu clearly labels dishes as Gluten-Free and/or Vegan. The staff were very knowledgeable on my visit. As always, ask questions to be sure your needs are met. You struck gold there, Johnna! From gluten-free fryer to the bread plate, pasta, and SEVEN cakes? Incredible! So glad you had a lovely time. It was an amazing meal, Heather! Next up, a vegan restaurant in Iowa. Not even kidding. I feel so happy when I think about how much easier eating healthy meals out has become in the past few years! I was thinking exactly what Heather said! Especially on all those dessert choices. And for the record, wouldn’t it be a much more wonderful world if every restaurant had a dedicated gluten-free fryer? That would open up so many more menu possibilities! Your comment inspired me to go take a look at the price of a small deep fryer. $20. Seriously, twenty bucks. That’s all that stands in the way of restaurants offering safe(r) food. So very grateful for places that get it and hopeful other will follow their path! I LOOOVE French Meadow! Matt and I often eat there multiple times in a row when we visit Minneapolis. I’m so glad to hear you like it, too! 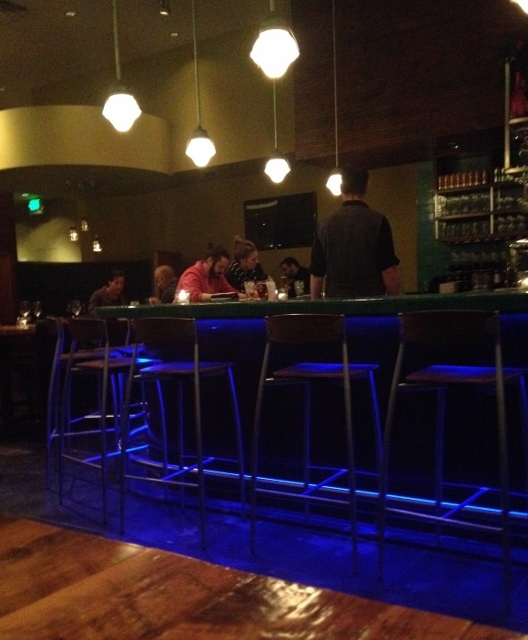 I can’t wait to go back and eat there again…hopefully when the windchill isn’t 50 below. Got any other Minneapolis recommendations, Amber?